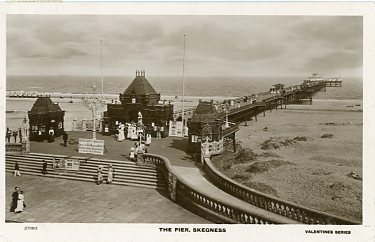 The 9th Earl of Scarborough invited architectural practices to submit designs for a pier at Skegness. 44 applied and the winners, Charles Clarke and Robert Pickard, received the £50 first prize, plus the commission to build it. 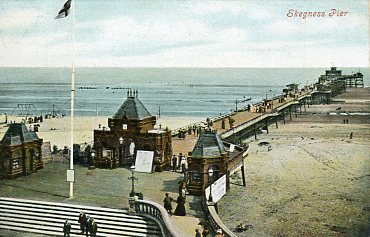 The pier opened in 1881, at the time the forth longest in the UK. 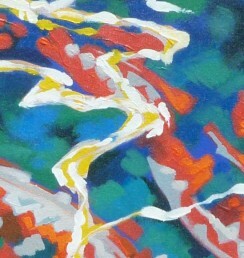 Despite this, because of the coastline, boats were only able to dock at limited times during the day. The first to dock was the Boston. 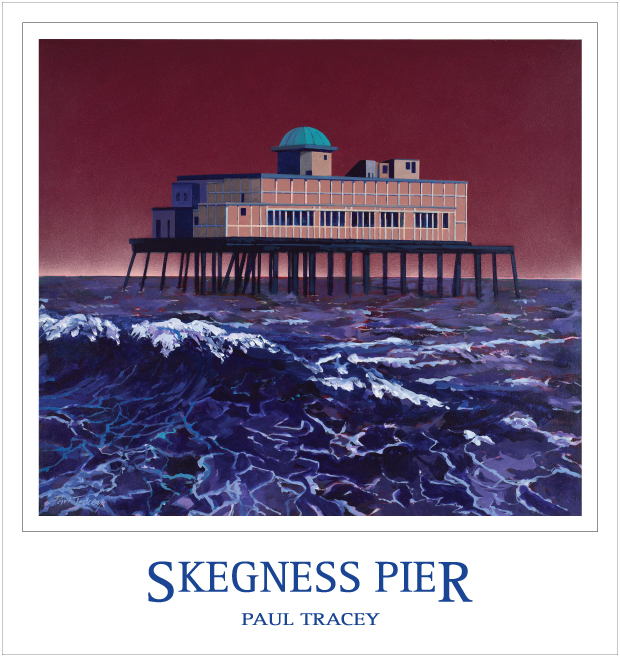 Trips went to and from Grimsby, Boston, Kings Lyn and Hunstanton. At the ‘T’ shaped seaward end was a saloon, which, because of its’ popularity, was enlarged a few years later, in 1898. In 1919 the schooner Europa, loaded with potatoes, hit the pier and it was not repaired properly until 1939. Then along came the Second World War and it was closed, decking was removed and it became a navigation point for the RAF. It reopened in 1948 only to be damaged by a storm in 1953. 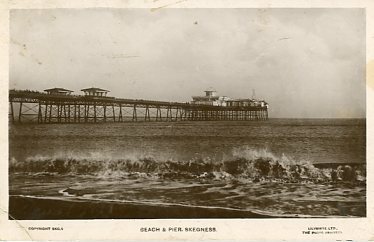 A storm in 1978 split the pier head with the pavilion from the shore. 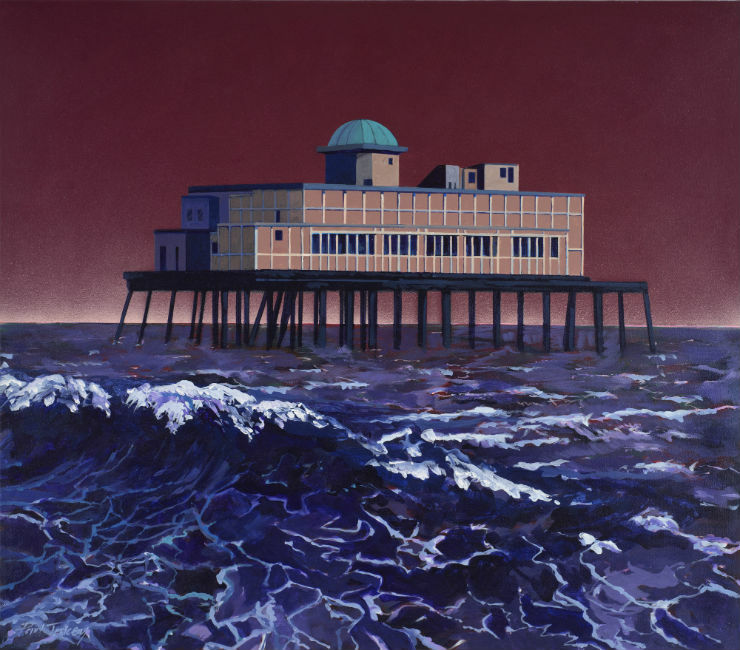 In 1985 the decision was made to demolish the stranded pavilion. As preparation work was under way, fire destroyed much of what was left. The pavilion was finally demolished in 1986.